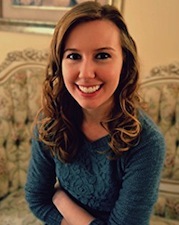 Hello Everyone and Welcome to my Blog Tour Stop for The Supervillain and Me by Danielle Banas hosted by Xpresso Book Tours. Today, I have my review to share with you and I cannot wait for yout to meet Abby, Iron Phantom and the rest of the gang. Hopefully, you’ll enjoy my review and decide to add this book on your TBR. It’s hilarious, entertaining, adorable, and just a really fun summer book. Don’t forget to join the giveaway and follow the rest of the tour. 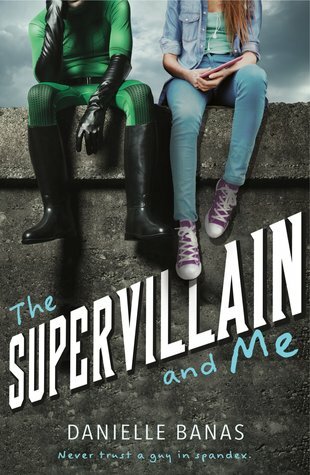 The Supervillain and Me was an addictively witty and marvelously entertaining story. I zoomed through page after page and had such a blast reading this novel. Honestly, I didn’t expect to love this book as much as I do. It’s fast-paced, comedic and an awesomely fun read. I thought the writing was superb and engaging. The plot was intriguing, well-developed and filled with dazzling action scenes. The characters were really interesting, quirky, and amusing. I genuinely really liked them all. Abby was a great heroine in her own ways. Connor was brave and protective. Abby’s best friend, Sarah was spunky and hilarious. Rylan was charming and funny. Isaac was annoyingly really good at being himself. And Hunter was just so silly and I totally adored his odd, but fun personalilty. Some parts were predictable, but I still thought the mystery part was really exciting. There were even a few nice surprises that totally caught me off guard. I also really loved the sweet romance, amazing friendships, and heartfelt moments sprinkled throughout the story. This was seriously a fun and absolutely delightful novel that left me wanting more. Even though I knew the true identity of Iron Phantom pretty early in the story, I still had fun anticipating when and how Abby would find out. It was really entertaining to see her piece together the clues. I probably pictured a million different ways for her to figure who Iron Phantom was, but I didn’t expect it at all when it finally happened. I can’t really give too many details and ruin the excitement for you, but I thought the way Abby found out was done really well. And since the premise hinted at a romance between these two, I guess it’s safe to say that I totally ship Iron Phantom and Abby. If you’ve been following me for a while, then you know I’m a big romance nerd so of course it was the main reason why I wanted to read this book. I thought the budding romance was spine-tinglingly awesome! It was charming, adorable, and just so darn cute. Iron Phantom and Abby shared many incredibly swoontastic moments and I really couldn’t get enough. Their chemistry was amazing and I loved all their snarky and playful bantering. This book is one of my favorite reads this summer. Danielle Banas delivered an amazingly entertaining superhero story with plenty of humor, fantastic action scenes, exciting mysteries, adorably cute romance, and sweet moments that touch the heart. I loved the characters, the storyline, the swoony kisses, and the life lessons weaved throughout the book. I absolutely cannot wait to read more from this series and see what happens next. Maybe the next one will be about Sarah and a certain superhero with fins. Hopefully… don’t mind me, just wishful thinking. I received an advanced reader copy of this book from the publisher, author and Xpresso Book Tours in exchange for a fair and honest review. All thoughts and opinions are my own. Have any of you read this book? Do you like watching or reading about superheroes? What are some of your favorite comics, shows, movies, or books? Let me know in the comments. Thanks for stoping by loves and have a super fantastic day!!! I’m glad that you loved it! It was definitely a fresh and surprising read! I really did. I thought it was unique and entertaining and just so fun. I cannot wait to see what the next book will be about. Yes! I really enjoyed this book as well! It was so fun right!?!? I can’t wait to see what happens next or what the next book will be about. Great review, Karenjo! This sounds like a really fun, well written story overall! Thanks Giselle! It was really entertaining and cute too. It was really fun too! I hope you enjoy reading it. Can’t wait to hear what you think. I was ont he blog tour for this one too! Im so glad you loved it so much!